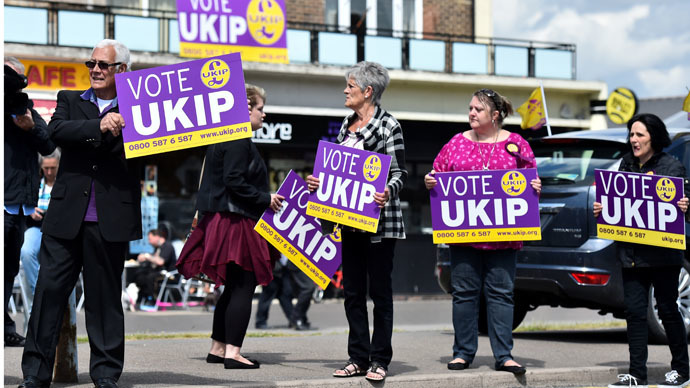 A former UKIP councilor appeared in court Monday accused of offences linked to alleged electoral fraud. A jury was sworn in at Norwich Crown Court in the case of Matthew Smith, 26, a Norfolk council member for Gorleston, St Andrews. The trial is expected to last for one month. Smith, of Gorleston, Norfolk, has denied six counts of making a false statement in nomination papers and three of making a false instrument with intent. Smith was also UKIP’s prospective parliamentary candidate for Great Yarmouth, a seat currently held by Conservative Housing and Planning Minister Brandon Lewis, before he withdrew his candidacy in July 2014. The charges relate to nomination papers put forward in the Norfolk County Council elections held in the Great Yarmouth district between March and April 2013. Michael Monk, 60, of Hopton, and Daniel Thistlewaite, 19, of Belton, also pled not guilty to one charge of making a false statement in nomination papers. Smith, who has since been suspended by UKIP, issued a statement to deny the charges against him when he appeared in court in July. “I will continue to fight this case knowing that I am innocent of all charges and it is a sad indictment that this case has taken such an unusually long time to progress. “However I believe that I owe it to the people of Great Yarmouth to have a UKIP candidate, democratically selected by the local branch members in due course, who is free from such distractions and can give the people of Yarmouth the time and attention that this case is depriving me from doing to deliver a famous UKIP win in 2015.